StomaphyX surgery is a relatively new procedure which involves re-tightening a gastric bypass via the mouth, without need for incisions. Previously patients who wanted to reduce the size of the stomach pouch would need to go undergo high risk, open surgery. Stomaphyx is a safer and simpler procedure. Some gastric bypass patients may find that their stomach pouch has stretched over time due to overeating. This means that patients will need more food to feel full which can lead to a significant increase in weight. 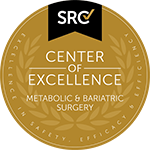 StomaphyX surgery is a gastric bypass revision procedure that can reduce the size of the stomach pouch to once again help patients lose weight. Is StomaphyX Surgery Right for Me? 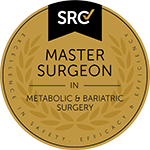 Stomaphyx surgery is suitable for patients who have previously undergone gastric bypass surgery and have started to regain weight due to the stretching or enlarging of their stomach pouch. Patients who find they need to eat larger servings or have increased appetite may benefit from this procedure. Stomaphyx surgery can reduce the volume of the stomach by up to 80 percent. Stomaphyx surgery is a straightforward, low risk procedure, involving minimal downtime and a quick recovery for patients. Re-tightening the size of stomach pouch ensures that patients will feel fuller for longer, and help them get back on track with their weight loss goals. What is Involved in the StomaphyX Procedure? The Stomaphyx surgical procedure is an uncomplicated and involves feeding a fibreoptic gastroscope through the patient's mouth to their stomach. The stomaphyx device is inserted through the tube and then used to reduce the size of the stomach pouch. Before the procedure, Sydney weight loss surgeon Dr. Kuzinkovas will run a series of tests to ensure that the patient is ready for surgery. Avoid eating after midnight, the day before surgery. Ask a friend or family member to be at the hospital for support and comfort. Most stomaphyx patients will be able to return home within 24 hours of the surgery. Any throat or stomach pain can be treated with over the counter pain killers. Take a few days off work. Avoid strenuous activity for a few weeks. Return to a post-gastric bypass diet of liquid and pureed foods. What are the Cost and Funding Options for StomaphyX Surgery? There are a number of payment options available for patients depending on their financial circumstances and insurance status. Dr Kuzinkovas will be able to provide a more detailed quote after consultation. Our surgery also offers payment plans for patients.